This is a birthday card as a small painting, delicate and sparkling, it will be the Messenger of your words, your feelings for one explosion that is dear to make his day the best possible... A card full of love! Happiness guaranteed! This is a size 10, 5x15cm made double card hand made exclusively from Celine Photos Art Nature photographs. 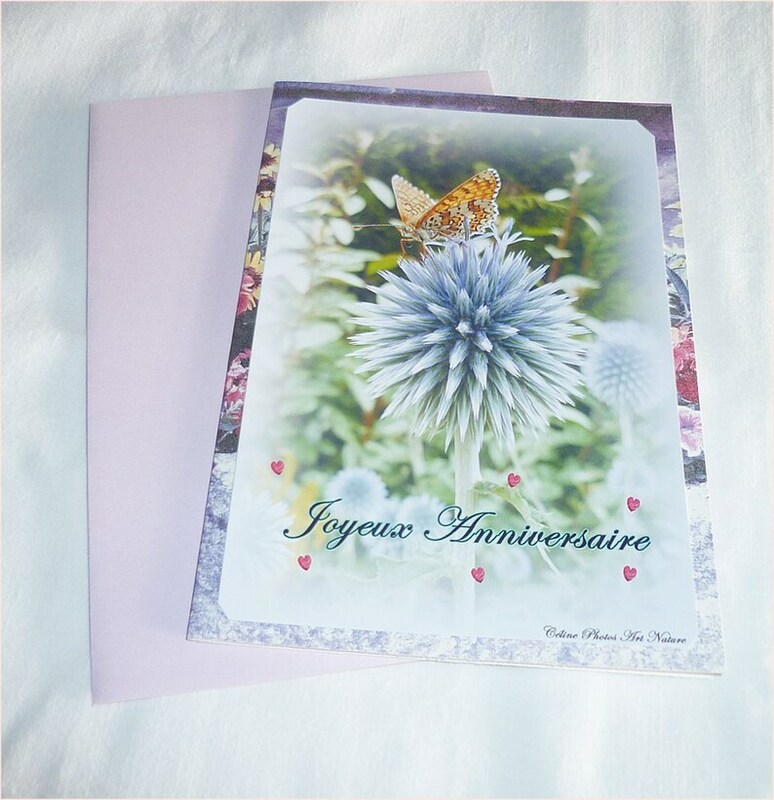 A photograph of a small butterfly on a thistle is glued on a background paper 180g, printed with a basket of flowers with a lilac envelope in very good quality. The inside is lilac color also. Want to customize it by putting a name, if possible, just ask me to see you soon!